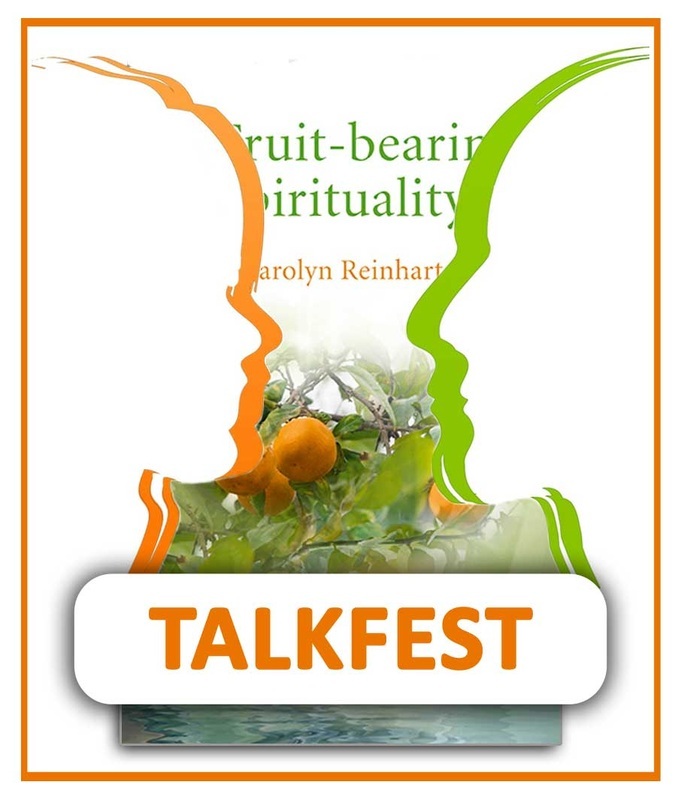 Within the pages of A Fruit-Bearing Spirituality Dr Reinhart shares a Model for Understanding and Developing Spirituality Praxis (theory and practice combined) while enveloping the personal and social aspects. There is also a basic Model of Inclusivity referring to the Dominant paradigm of oppression and the need for a paradigm shift and new world view. Sharing theses findings in an accessible manner, it contains over 30 diagrams which help to extend the concepts shared textually. How the book came to be . . .
A Fruit-Bearing Spirituality, is the fruit of years of formal study in the field of spirituality and is combined with 70 years of life experience, 33 of those years working in Charities. The book is not about religion, theology or church, but helps the reader to learn more about the meaning of the word spirituality for today. It includes a consideration of our humanity and spirituality, our spiritual journey, transformation and growth, relationships, integrating the personal and social, how to change, the context/organization and the relationship of Spirituality with Quantum Physics. Between 1990 and 1996 Reinhart worked as one of the founders and employee of Holton Lee, a Centre for Disabled People and caregivers, set on the edge of Poole Harbour. The organization looked to integrate mutually the Four Aspects, namely, the Arts, Environment, Disability, and Spirituality-Personal Growth. At the time, I didn’t know how important Holton Lee would be for me. Yet it became central as I framed my research question: How can Holton Lee best establish a Spirituality Praxis? One of the first and key understandings for me in considering the research question and methodology design was to understand praxis. That is if you combine theory and practice you get praxis, which is theory-informing practice and practice-informing theory. That is true in the field of spirituality as in any field. I realized that we could learn a new, relevant and authentic theory of spirituality, which then would inform our living, and in turn our living experience would shape and inform our theory about spirituality into a “living theory”. We learned that transformational spirituality is concrete and has to do with personal, interpersonal, group, organizational, societal and global levels and thus affects our economic, political, social and spiritual lives and psychological culture. In 2003 Reinhart completed a Doctorate after four years of research and development with a research group within Holton Lee Charity. This book grew out of that experience. Dr Reinhart is very keen to make contacts with others interested or working in the field of spirituality and quantum physics. She invites you to visit TALKFEST, connect, and subscribe. Carolyn Reinhart’s book provides the most comprehensive guide that I have seen to a practical spirituality for humanity’s current situation – a spirituality that is embodied, transformative of both individual and community, trans-doctrinal and open to all dimensions of the cosmos. To begin with, she describes the origin of her journey of discovery in a community including a Centre for Disabled People and Carers, set in an area of woods and heath-land in the course of conservation. Fromthis she draws detailed guidelines for communities of enquiry striving for this transformation. The book then analyses the different dimensions of the spiritual paradigm that is emerging, drawing on science, social theory and spiritual teaching. The hub of her conception is praxis: the work of integrating being and doing, in which theory and practice are intertwined, informing each other. Many insights emerge: that in society both the oppressor and the oppressed need to change; that spirituality is inside us, as “our life breath, the animating spirit within, without which we die”; that “the real journey takes place in the depths of our souls, in the depth of the human and cosmic journey in all its realms: psychological, social, cultural, political, economic, ecological and cosmological”. A notable feature is the extensive summaries of key points from a wide range of authors in each of the aspects of spirituality. This is an important book for understanding and engaging with contemporary spirituality. 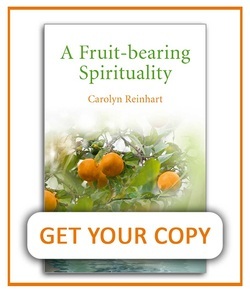 Fruit-Bearing is an appropriate title for this book as it invites us to attend to our roots, to nurture them and bear fruit in a spirituality that is about being and doing and is personal and social. Carolyn Reinhart has produced an inspiring synthesis on the evolution of spirituality in the 21st century. 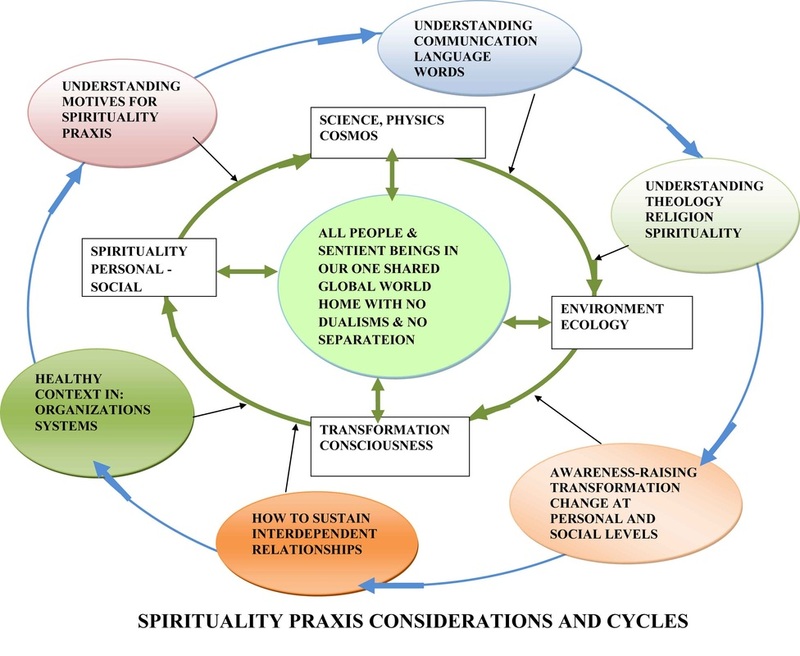 Drawing on theoretical foundations of study and research, this is primarily a manual for spiritual praxis, embracing connectedness and inclusivity as primary values. 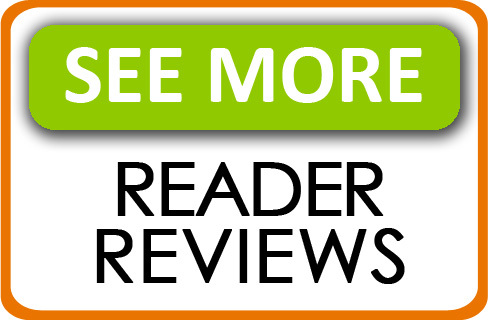 A valuable and timely rersource for those exploring the emerging spirituality of our time. Diarmuid O'Murchu, priest and psychologist, author of In the Beginning was the Spirit. This book is the outcome of decades of spiritual searching and itself the fruit of a pastoral practice rooted in ecological awareness. With painful honesty and a shining integrity Carolyn Reinhart guides us through the steps of her spiritual praxis and discovery, continually encouraging us by the excitement she has experienced and shares. Many will resonate with the obstacles she has overcome – like institutional religion and theology’s attempts to downgrade spirituality, or at least to fail to recognise its crucial significance; as well as the obtuse and off-putting nature of much technical jargon associated with theology. The vision of spirituality is here one that can be embraced by many world religious traditions. Beginning with a simple intuition that an inclusive spirituality that refuses to be privatised is the first pointer: we are then led through an eight-fold path. Highlights of this are the connecting of inner and outer dimensions, (thereby overcoming dualisms), the centrality of praxis and the desire for transformation, a transformation that embraces self and world. The uniqueness of the journey offered here is not only that Reinhart is immersed in the insights of Quantum physics - through Dana Zohar’ work - but that she integrates these with the spiritual path, so that ideas of connectedness, mutuality, and relationships mutually reinforce each other : “ we can live our quantum relationships and spirituality together”, she asserts meaningfully. She has the humility to listen to the wisdom of many wise guides in the field, whose insights are then integrated into her own pathway. The achievement of the “fruit bearing spirituality” is to indicate to us who strive for justice and liberation, that this struggle can be an integrated part of “revolutionary mysticism” – itself part of a spirituality that continues to evolve.